Last fall I scored a Diamond Candle for 30% off, so I thought I'd save it for the apartment. I actually have no sense of smell, so it's more a novelty for me to burn candles. However, this one offered a little prize in the form of a ring. 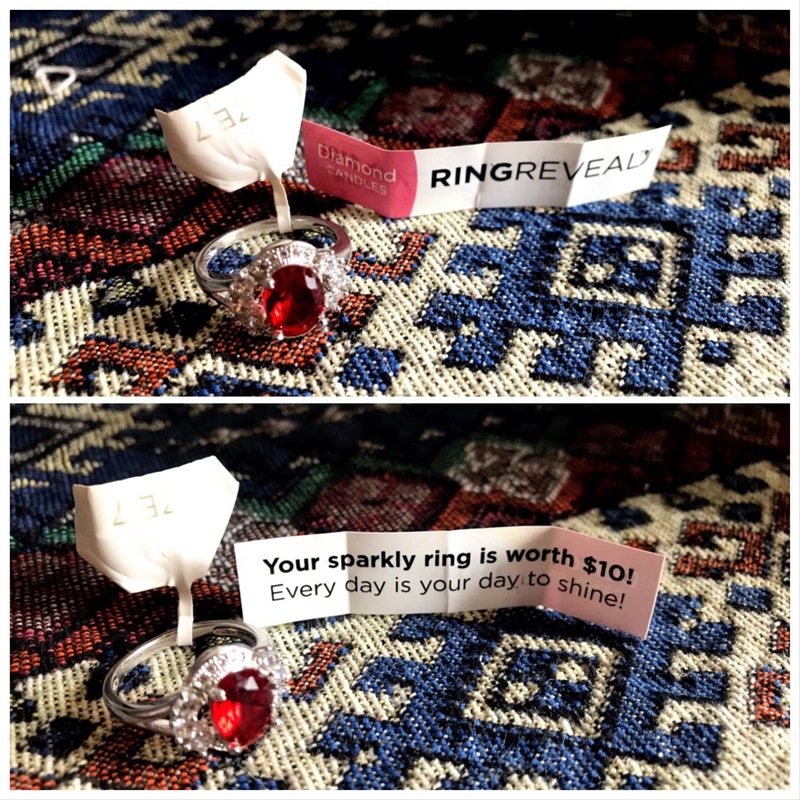 You can potentially get a higher value ring, but typically they're just costume pieces. I chose the Pumpkin Espresso scent. I started it one Saturday morning while Kyle was at work. It had a little frosting, but it didn't affect the candle's burning. However, it did start tunneling a few hours into burning, which isn't something you want your candles to do. I try to always burn candles long enough for them to evenly distribute wax to prevent tunneling, so unfortunately it wasn't my burning technique. When Kyle got home later that evening, he couldn't pick up on the notes of pumpkin or espresso, so the scent throw of this wasn't doing too hot, either, especially since we live in a tiny one bedroom. Here you can see the foil packet finally revealing itself. It took about 10-12 hours to get to this point, over a few days. We didn't reach for this candle as much as our others since it doesn't have a lot of smell to it. This is the little foil piece once I pried it out with some tweezers. It was attached to the side of the candle and came out fairly easily. The ring itself was well protected and was inside a small bag in the foil. And here's the ring reveal! It's worth $10 and honestly isn't really anything I'd ever wear, but it's fairly nice for a cheap costume piece. Final verdict? I don't think I'll be ordering another Diamond Candle just because the candle itself wasn't super amazing. It was a fun experience and the ring was an added bonus, but I can get candles with a better scent throw elsewhere. I'll likely finish burning it because we already have it, but this will be the last one. I've been trying to use less plastic in every day life and it's astounding how prevalent plastic is in almost everything. Luckily, I have a pretty awesome friend in Jess, who gave me a set of Stasher Bags for Christmas. Stasher bags are silicone, non-porous and BPA free. They seal really well and are pliable and easy to use. Pictured is the Jade Snack and a Jade Sandwich came in the two pack as well! They were also packaged only in cardboard, which I recycled. You can use these for soooo many things. I use them for food, obviously, but you can use them for airtight, water resistent protection for your phone or makeup as well! They're freezer and microwave and dishwasher safe, and you can even use them for sous vide cooking. If you're looking to start eliminating plastic, definitely check out Stasher bags! As my keychain suggests, I lose my keys a lot. This past weekend I lost them for three hours. Ridiculous, right? The next day Kyle took me to Target and purchased me a Tile tracker device and passed on a stern "be more organized". But anyway, this little square is awesome. I attached it directly to my lump of keys. All you have to do is download the Tile app, make sure Bluetooth is on, easily activate the device, and you're set! You fill out some information in the settings and can even activate it to ring your phone even if it's on silent. My phone hasn't left silent mode for years, so this is a godsend. I have the Pro version which can locate items up to 300 feet away. If I need my keys I just log in to the app, click the find button, and the Tile rings a little tune. If I need my phone, I just double click the center button on the Tile and my phone rings a little tune. It's amazing! The Tile lasts for a year on it's current battery and they are replaceable. Tiles pretty much attach to anything. You can use a variety of ways to attach them: keyring, adhesive, pockets, or money clip! I'd highly recommend a Tile if you find yourself constantly looking for something. I mean, we have a key hook right by the front door and I can never manage to put my keys on it. I used my Tile just this morning to find my keys and they were right there on the coffee table. It's been a while since my last empties post, but here we go! I've changed it up a bit and I'm now only marking when something is not cruelty free, but as usual, I'm human so always double check! Tree Hut Shea Sugar Scrub* in Passion Fruit & Guava // I love Tree Hut's sugar scrubs. I'm a big fan of scrubs that you can feel working, which is probably terrible for my skin, but these fit the bill! I'm currently using Tropical Mango and I have Coconut Lime in my stash for later. The Body Shop Hand Cleanse Gel in Satsuma // This was a nice smelling little hand sanitizer that I picked up at Marshall's. I'd get it again if I saw it. Nspa Body Mist in Mango // cruelty free status unknown // This smelled amazing. I kept it in my car for a quick freshening up. This stuff didn't freeze or bloat the bottle in extreme temperatures, which is hard to find (and probably not good) in a body mist. Deep Steep Body Wash in Strawberry // I love Deep Steep products! This body wash lathered well and smelled delicious. I'd definitely get it again. I think the strawberry is a summer scent, but there's a bunch of scents on their website. Tarte Rainforest of the Sea Deep Dive Cleansing Gel // I've raved about this cleanser before. It's one of my favorites. Kiss My Face Shave Cream in Green Tea & Bamboo // I don't like shave creams that don't lather. This was more of a lotion and it was just kind of goopy. It did help with moisture, but I won't be grabbing this again. Kyle is an umpire and is away from home for six months during the baseball season. He doesn't use the hotels' toiletries, so he saves some for me. Don't worry, he's not greedy. He doesn't get new bottles every day, just when he checks in. Well some hotels have these nifty little makeup removal wipes! They're great and I love getting these. Here's some that I've used up so far. Cruelty free status unknown. Maybelline Fit Me! Foundation Matte Poreless in 110 // NOT cruelty free // I don't even remember when I bought this, but I do remember it was for a Halloween costume. It's definitely past it's prime and I won't get it again. Pacifica Body Butter in Indian Coconut Nectar // These are my favorite little lotions. I always have one in my desk and they work really well and smell amazing. Definitely would get more of these. 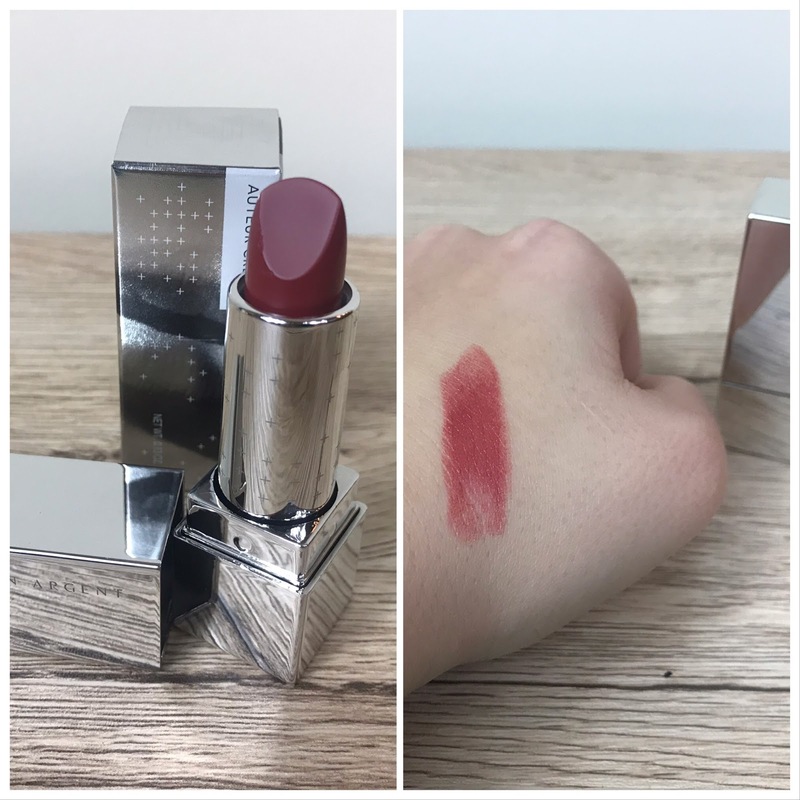 Chapstick 100% Natural Lip Butter in Sweet Papaya // NOT cruelty free // I received a few of these in a promo box (maybe a VoxBox?) and they worked okay. I wouldn't pay for one. ProTerra Body Wash // Cruelty free status unknown // It's hotel body wash from Kyle's travels. Nothing special. Paul Mitchell The Detangler Conditioner & Awapuhl Shampoo // These were another little hotel snag from Kyle's travels. They were nice little samples. I'd try the full size versions. Beekman 1802 Conditioner // cruelty free status unknown //Another hotel bottle. This is a goat's milk conditioner and it was nice. Templespa Repose Aromatherapy Night Cream // cruelty free status unknown // This was a little hotel sample. It was cloying and just not pleasant. And a full size is $60 for less than 2 ounces. No thanks. Milani Prime Protect SPF Face Primer // This was a nice sized primer sample I got with a Milani order. I'd try the full size! Olay Regenerist Whip Moisturizer // NOT cruelty free // This was okay. I didn't see anything special about it. I wouldn't get a full size. There's another bout of my trash! Hooray! Until next time! Last week I was out in beautiful ole Tennessee to house sit for my mom and I stopped into one of my favorite boutiques, Boutique31. 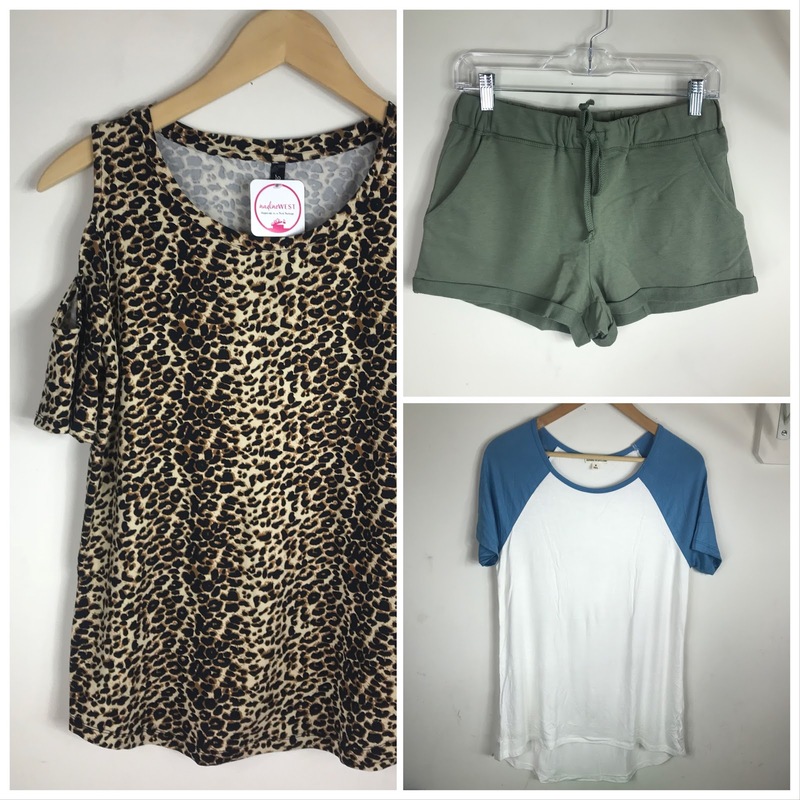 It's a small little shop that carries adorable clothing in standard and plus sizes. Kaitlyn, the owner, is the sweetest gal and she always has adorable pieces. Here's what I picked up! I'm a sucker for cute leggings because they're soooo comfy. These leggings were posted on Facebook and I was hoping to snag a pair. They were only $5! Since these aren't quite as loud as some other pairs I have (coughcoughDOGPRINTcoughcough), so I'm excited to pair them with a black tunic and boots out somewhere casually. How pretty is this necklace?! I love the green, the black, and the tassle. Definitely a good score for my jewelry collection. And coming soon is a second location for Boutique31 in Knoxville!! I'm so excited to visit and happy that they're doing so well. The never ending pile of empties has produced another post. I've now replaced the majority of my products with cruelty free and vegan items, so from now on I will be posting when something is not cruelty free and vegan (I'm still trying to use up old products to reduce waste). ♥ And, as always, please do your own research! I'm human. Pacifica Kale Detox Face Wash* // This is one of my favorite cleansers! It's a light, green smelling cleanser that's great for every day use. You can see the full review here. The Honest Company Honest Healing Balm // I found this in a box while I was decluttering. I don't remember using it when I first got it years ago, but it's since separated so it doesn't work properly. tarte Rainforest of the Sea 4-in-1 Setting Spray Marine Boosting Mist* // I've finally finished up this little sample bottle. I liked it, but I'm not sure I'd buy a full size. Palmer's Coconut Oil Facial Oil // I didn't like this but that's because I'm not a big facial oil fan. H20+ Oasis Ultra Hydrating Cream* // This was a little sample I got in an Ulta order and LET ME TELL YOU this moisturizer worked SO WELL and made my skin look SO GOOD. I'm just so sad that a full size of 1.7 fl. oz. is $42 or I'd already have some. tarte Pack Your Bags Undereye Patches* // I really enjoyed these patches. They were really refreshing! 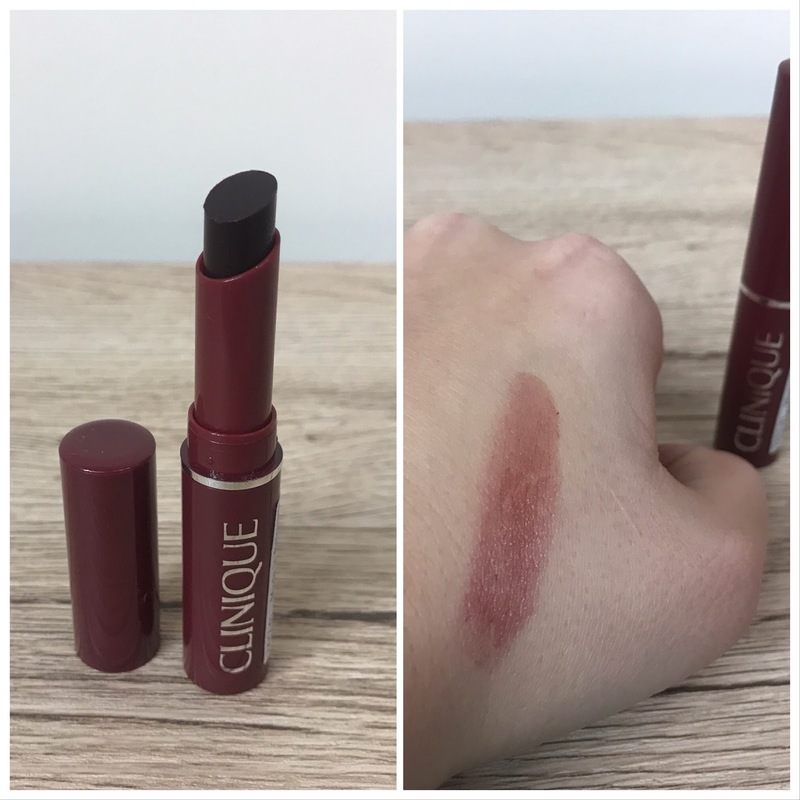 Clinique Moisture Surge 72 Hour Auto-Replenishing Hydrator // not cruelty free & vegan // Meh. Strong chemical smell and I didn't see how it really did anything for my skin. I'm glad this was just a free sample from an Ulta order. Nip + Fab Bee Sting Fix Toner Pads // not vegan // I picked these up at Marshall's. I liked them, but missed the bee venom ingredient, so I'll be looking for a vegan offering from Nip + Fab. Juice Organics Pompeptide Moisturizer // This is my all time favorite moisturizer. Sadly it's been discontinued and this was the last tube I had. Crying. Maple Holistics Tea Tree Shampoo // I loved this shampoo for my eczema. See the full review here. Pür Disappearing Ink 4-in-1 Pen in Light // This was way too orange for me from the beginning. 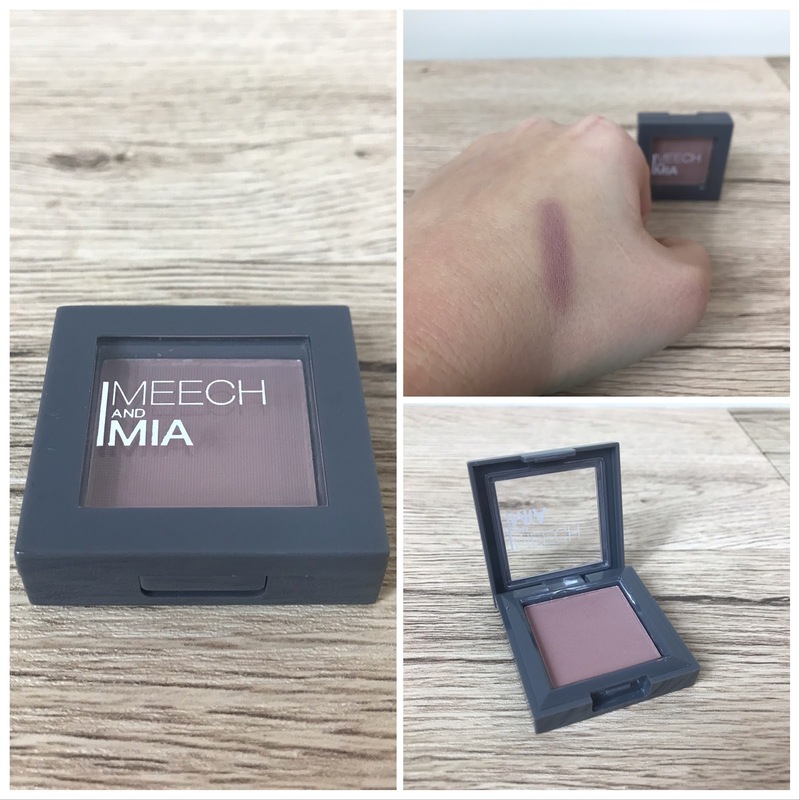 When I first bought it I wasn't as adept at blending as I am now, but it's since oxidized and I can't use it. I'd consider purchasing it in a lighter shade, but it's a little pricey. e.l.f. 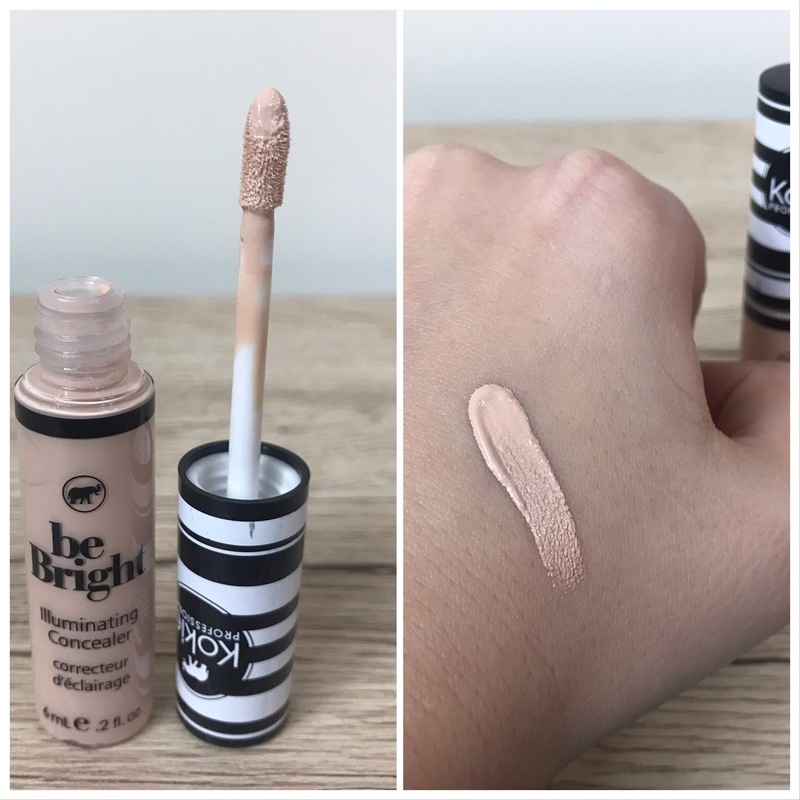 Flawless Finish Foundation* in Porcelain (now named Natural) // I thought this was my go-to foundation color until I accidentally bought a lighter shade and had compliments (specifically from Kyle) that it worked better. So I say goodbye to Porcelain (Natural) and I've since moved to the Light Ivory shade. Definitely will keep buying! Drybar Triple Sec Dry Shampoo* // I cashed out some Sephora points for this last year when I ordered my birthday gift. I really enjoyed this! The full size is a little pricier than I'd like to pay for a dry shampoo, but I'd consider it since it worked so well. Auromere Herbal Toothpaste in Fresh Mint // I've used this toothpaste brand before and I really like it. I've tried the licorice flavor, too, but the fresh mint is much better. Definitely will pick up another tube when I see it. This is my second Nadine West box and I'm pretty excited about it! To recap a bit, Nadine West is a fashion subscription box where you receive a few items per month (or every two weeks by preference) to try on. If you don't like them, send them back. If you do like them, keep them for their (low) price! This month my $9.78 for shipping was applied to any item I decided to keep, along with a Facebook coupon of $3. You really can't get any better for a fashion subscription box. This month I received five items: three clothing pieces and two jewelry pieces. Here they are! I'll start with the clothing. I loved the print of the Animal Inside leopard print top ($25.49), but I'm just not a cold shoulder fan. NW didn't know that, though, but I'll be sure to update my reviews! I'll be sending it back. The sage green Stay Casual ($17.99) shorts were really cute but I don't need any more casual wear, so they're going back. Then there was a short sleeve baseball tissue tee called Infield ($22.99) in a fantastic tunic length. You bet this one is staying with me. A tunic length top with a baseball related name? Yup. On to the jewelry! The earrings, called Diamond Dangle ($12.99) had a very nice pavè design, but not my style. The necklace, Hoop Dreams ($16.99) was fantastic for my style, but I have an almost identical one in a bronze tone, so both of these pieces went back. Overall, I'm pretty impressed with the style chosen for this box, I just didn't need duplicates. I'm also impressed that in one month's feedback they've pretty much nailed my taste. If you'd like to try Nadine West for yourself, please use my referral code RS8D-YENH-P4J3 for a FREE set of earrings, AND free shipping when you sign up! See all of my Nadine West unboxing posts here. 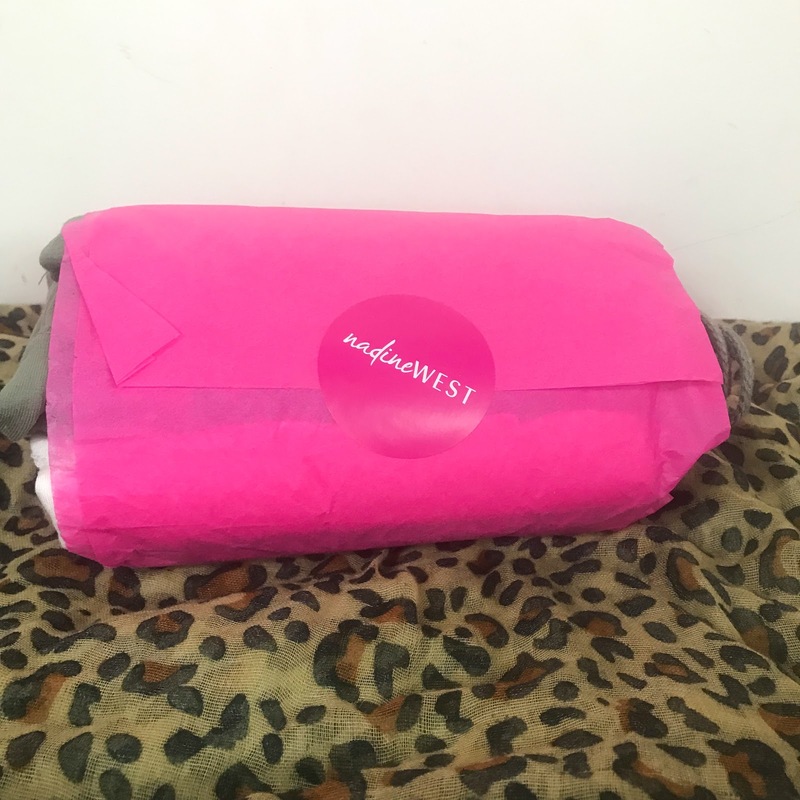 I recently signed up for Nadine West, a budget-friendly fashion subscription box. It's set up similar to other fashion shopping boxes - they send you some items, you only keep and pay for what you love, and send back the rest in the same envelope with the enclosed shipping label. The best part is you can choose your frequency to receive boxes, either every two weeks or every four, and you only pay $9.78 for shipping, which is then applied to anything you do end up keeping. Your package is styled to things that you input into your profile, and you can choose things you don't want and even colors you don't wear (for instance - I stated I don't wear orange). Each item is under $35, but most average about $18. My first box I got to try for free with the code NADINE, which deducted the initial shipping cost, and I even got a $3.00 discount if I kept anything. I chose to receive a package every four weeks to beef up my work and workout wardrobe a bit before I go full time at the office and start regularly going to the gym. 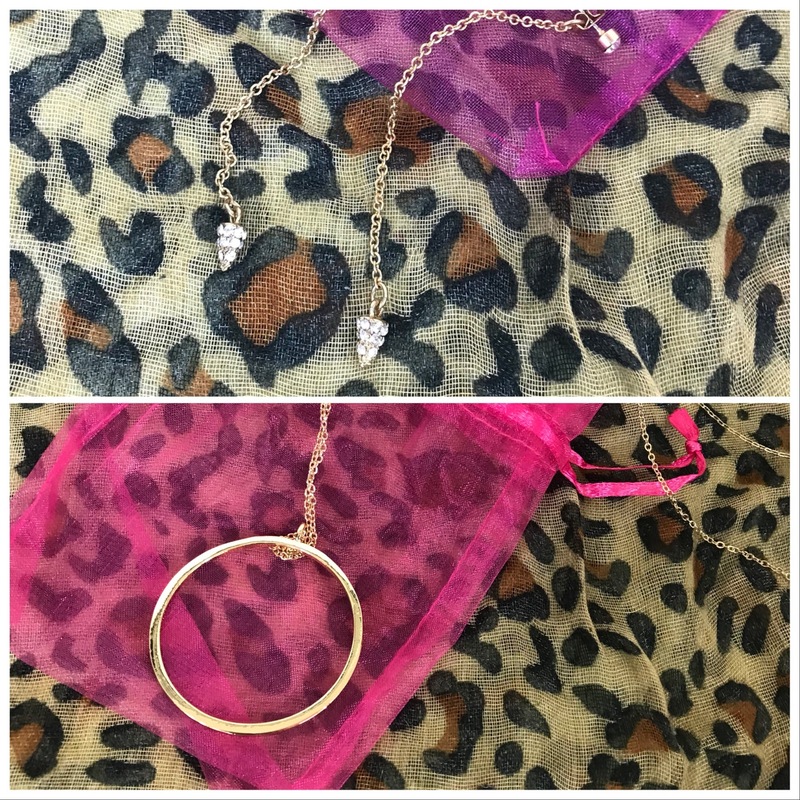 I received six total items: one top, two bottoms, and three jewelry items. 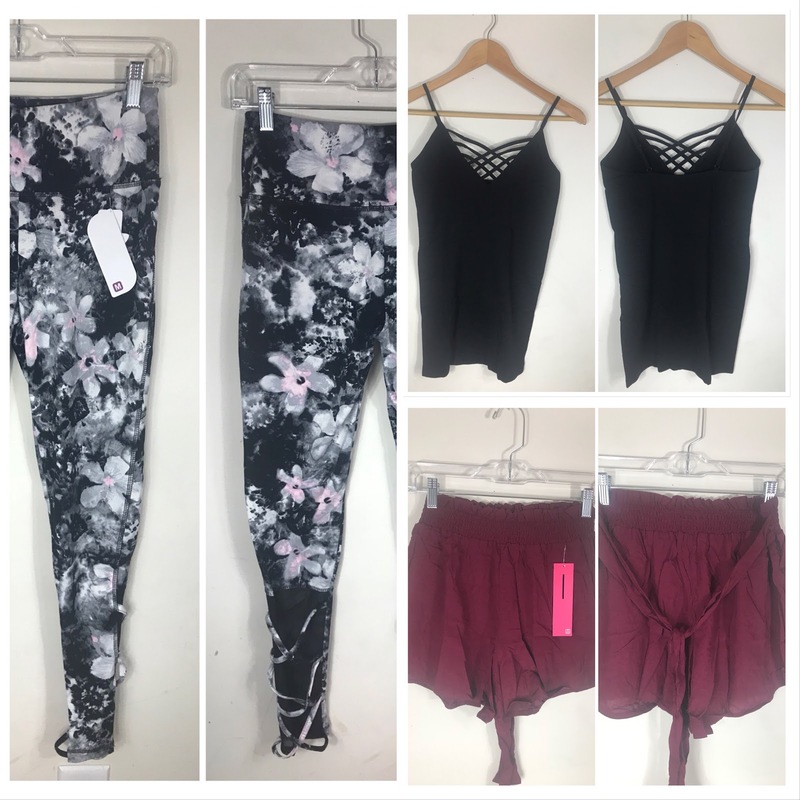 Here are the clothing pieces I received. The Ballet Floral leggings ($30.99) had really cute mesh panels on the backs of the calves, but the pinkish floral print just wasn't me. Had these been black I would've been all over them, but these went back. The Not Your Gramma's Cami ($18.99) was a stretchy material and had cute detailing across the chest without being too low cut, so I'm keeping this one to go under cardigans this fall. The Bow Tied ($19.49) shorts were another thing I wanted to love, but I just can't make shorts like this work for my body type. I loved the color, but these went back. First I'll say that all of the jewelry went back. These were super cute pieces, but they don't fit my current style. The Knot Me ($14.99) bracelet was cute, but I would've preferred it in gold. 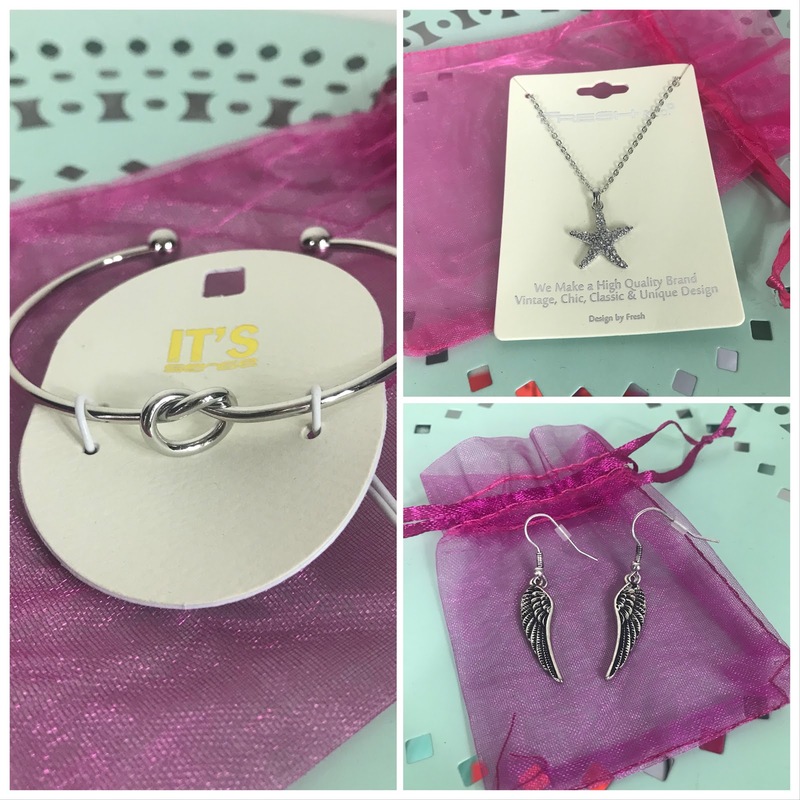 The Beneath My Wings ($14.99) earrings are just something I'd never wear, and the Starlight Starbright ($26.99) necklace was adorable, but was too similar to a starfish and I'm a mountains-not-beach kind of gal. I wasn't disappointed with the selections in my first box as they're still feeling out my style and the items were really cute. I'm excited to see how they take my feedback and put together my next box! Try Nadine West for yourself here!